The evangelization commission offers opportunities for parishioners to share their faith with others. Below are outreach opportunities of the evangelization commission. The Christkindl Village is a celebration of the holiday with a traditional German Christmas Market, presented by St. John the Evangelist Catholic Church. This event is designed to be a lasting tradition for the people of Indianapolis and their visitors, including a canopy of lights, live Nativity, kids’ activities, musical performances including caroling, and the sights, sounds and smells of Christmas. This years dates are December 16-17. Do you want to learn more about our sacred church in the heart of downtown Indianapolis and tell others about it while sharing the Gospel message? 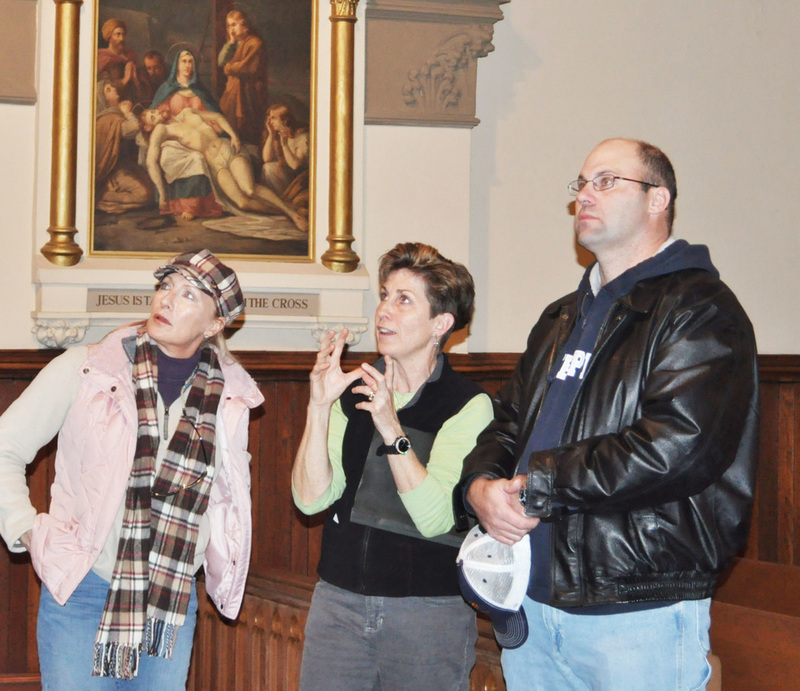 Become a St. John Evangelist Tour Guide today that'll equip you to share the faith and the history of the church. 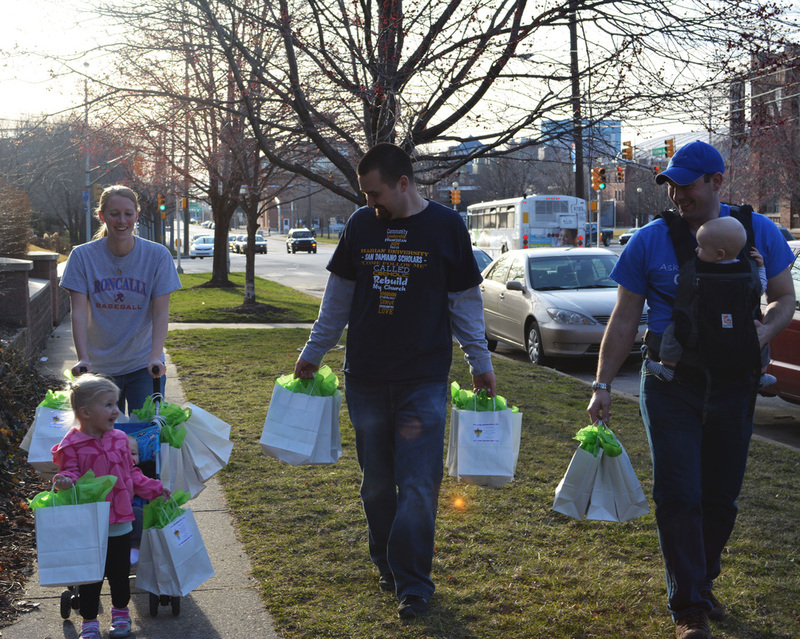 Invite Indy Easter Evangelization gives personal invitations to Easter Mass at St. John’s to the Indianapolis Community & IUPUI Campus. The St. John the Baptist Resource Room offers a wide variety of resources aimed at equipping parishioners and friends of St. John's to dive deeper into our Catholic Faith. The Resource Room is typically open once a month following all weekend Masses. Evangelization Workshops are designed to enhance the spirit of evangelization among parishioners and to develop the tools and skills beneficial to sharing the Good News. For information on upcoming workshops contact Sheryl Dye. The goal of this ministry is to serve as a resource after Mass in the Narthex. We warmly greet people as they leave the church and field any questions they have about St. John's specifically or general Catholic teaching. We have information on hand to distribute about the many different ministries and ways to get involved in our church. We want to make it as easy as possible for guests to feel welcome and for parishioners to find meaningful ways to be involved in our parish community. If interested in being a part of this ministry contact Scott Knust. Stay updated on the latest events and liturgies that have taken place at St. John's with the parish newsletter that is produced three times a year.